China will tighten its restrictions on foreign real estate investment in 2011 with local authorities being asked to increase supervision. According to a statement from the Chinese Ministry of Commerce (MOC) foreign funded developers will not be allowed to make profits through buying and reselling real estate projects. The MOC also said that it will strictly monitor all transactions in conjunction with the Ministry of Land and Resources and the State Administration of Foreign Exchange. Foreign direct investment into China's property sector increased by 48% to US$20 billion in 2010 and China's Ministry of Land and Resources has rolled out new measures to restrain runaway real estate prices by requiring local authorities to report within two working days about land transaction prices that set new records or with premiums exceeding 50% of prices. The statement posted on the MOC website urges local authorities to increase checks and supervision on property investment involving foreign investors and strengthen risk controls on the sector. 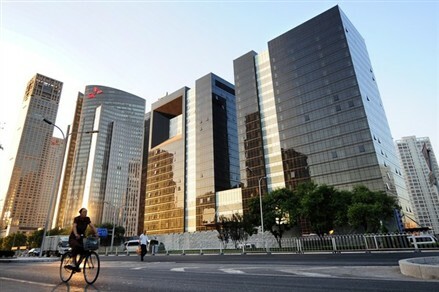 China's property sales in 2010 are on course to reach a record high of 4.7 trillion yuan (US$706 billion), surpassing last year's total of 4.3 trillion yuan (US$648 billion) despite the country's tightening measures aimed at reining in the real estate market. Since the beginning of 2010 China's government has introduced a group of measures cracking down on speculation of property market, including banning mortgage loans for third home purchases and raising down payment requirements. Property prices in 70 major Chinese cities rose 0.3% in November month on month and 7.7% year on year, according to government statistics. Both property sales and prices are on the rise, according to a real estate research institute of China's Soufun Holdings. The average price of housing in 100 Chinese cities rose 0.82% in November while the price in eight major cities including Beijing and Shanghai during the same period increased 0.41%, its latest figures show. The two reasons behind the rising property prices are increasing inflation pressure and foreign capital entering China on expectations that the yuan will appreciate, according to Yang Hongxu, a researcher with the Shanghai based E-house China Research and Development Institute. With banks' deposit interest rate as low as 0.36% and the country's inflation rate this year estimated at 4%, analysts said buying property is a better option than holding cash, especially for property developers.